The Israeli authorities at the Barzilai Medical Centre in Ashkelon now require all Palestinian residents of the occupied territories to disembark from public buses at the entrance to their grounds. They are then required to undergo security checks. 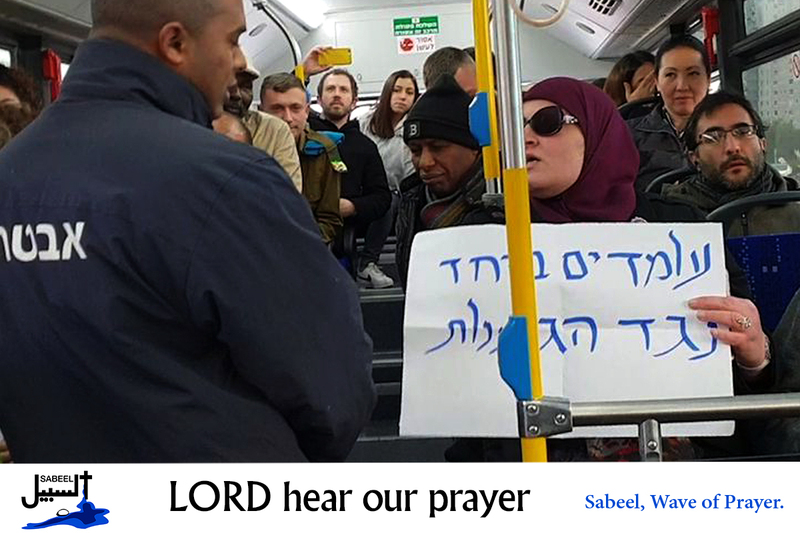 Israeli citizens, residents, and internationals are not required to go through these procedures and are allowed to proceed on the buses to the hospital. Physicians for Human Rights have challenged the authorities for putting apartheid policies into practice. • Lord Jesus, we remember how you healed all ten lepers, including the thankful Samaritan. Help us, Lord, to show your care for everyone in our communities. We pray for your strength, endurance and patience with joy, as we continue to give thanks to our Father, (Col 1: 11). Lord, in your mercy…hear our prayers.